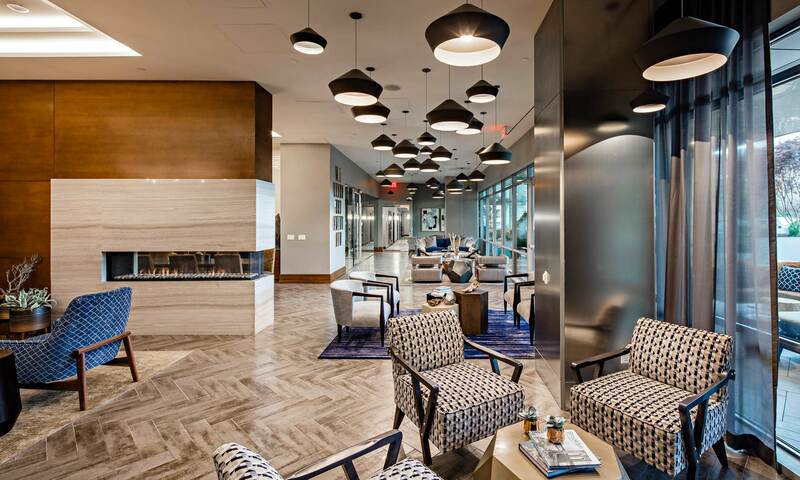 1 Brooklyn Bay delivers a lifestyle of superior quality and leisure with an impressive 33,500 square feet of indoor and outdoor amenity space. 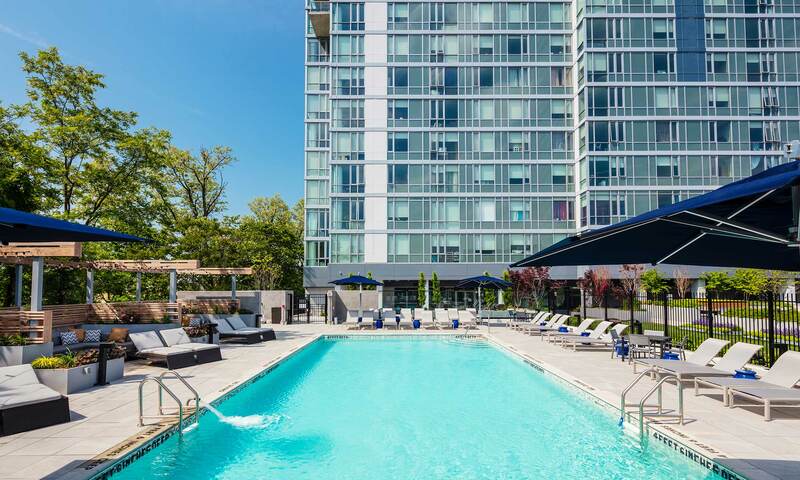 Amenities include an outdoor swimming pool and multiple recreation areas, offering residents a standard of comfort and convenience unmatched in Brooklyn. 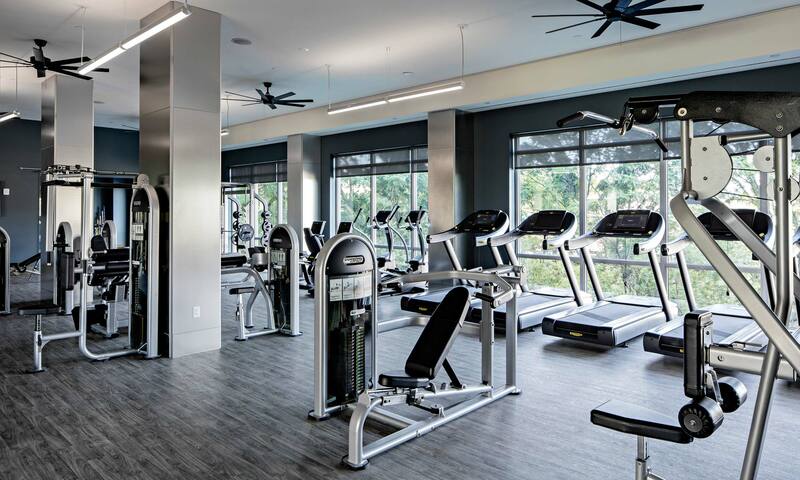 The third-floor amenity level features a high-performance fitness center with a yoga studio, a children’s playroom and a resident lounge with a fireplace and dining area. The lounge opens onto a loggia leading to the outdoor swimming pool and surrounding sundeck with lounge chairs and cabanas for post-swim seating. Beyond the pool area, the lush landscaped grounds accommodate a bocce court and multiple barbecue grills. On-site parking, bike storage and a dog run are also available.